Have you ever wondered why Gmail asks you before showing images in emails? We did this to protect you from unknown senders who might try to use images to compromise the security of your computer or mobile device. But thanks to new improvements in how Gmail handles images, you’ll soon see all images displayed in your messages automatically across desktop, iOS and Android. Instead of serving images directly from their original external host servers, Gmail will now serve all images through Google’s own secure proxy servers. So what does this mean for you? Simple: your messages are more safe and secure, your images are checked for known viruses or malware, and you’ll never have to press that pesky “display images below” link again. With this new change, your email will now be safer, faster and more beautiful than ever. Of course, those who prefer to authorize image display on a per message basis can choose the option “Ask before displaying external images” under the General tab in Settings. That option will also be the default for users who previously selected “Ask before displaying external content”. Similar to existing features like default https access, suspicious activity detection, and free two-step verification, image proxying is another way your email is protected. 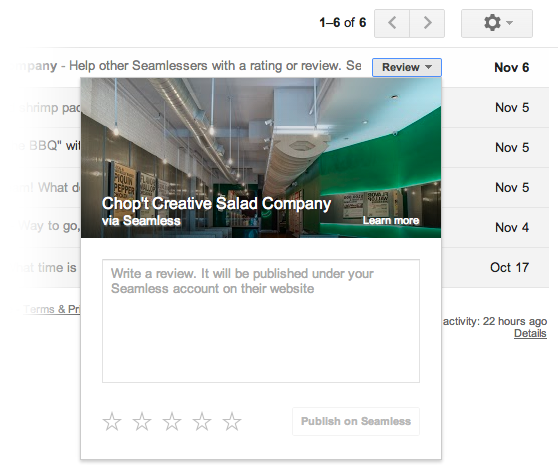 This new improvement will be rolling out on desktop starting today and to your Gmail mobile apps in early 2014. Having access to your data and being able to take it with you is important, especially if that data contains precious memories like old love letters, your first job offer, or that 100-message thread discussing the merits of various cat videos. 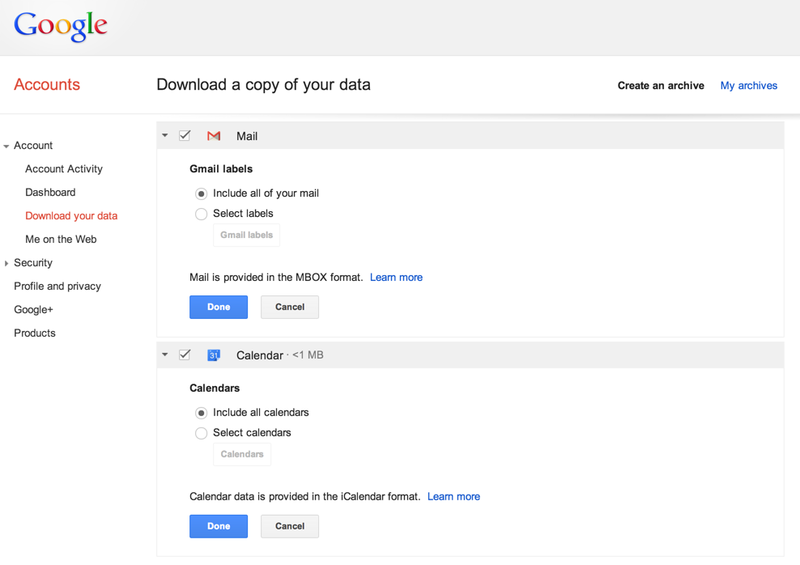 Starting today we're rolling out the ability to export a copy of your Gmail and Google Calendar data, making it easy to back up your data or move to another service. 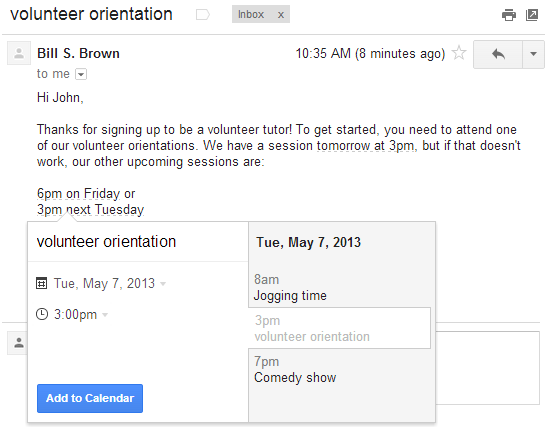 You can download all of your mail and calendars or choose a subset of labels and calendars. 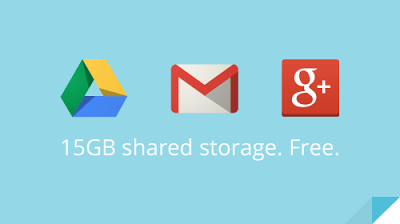 You can also download a single archive file for multiple products with a copy of your Gmail, Calendar, Google+, YouTube, Drive, and other Google data. The ability to download your Gmail messages will be rolled out over the next month while Calendar data is available to download for everyone today. When life gets busy, you rely on your calendar to keep track of what you need to do and where you need to be. And to help you stay on top of things, Google Calendar is getting a bunch of improvements, just in time for the extra busy holiday season! 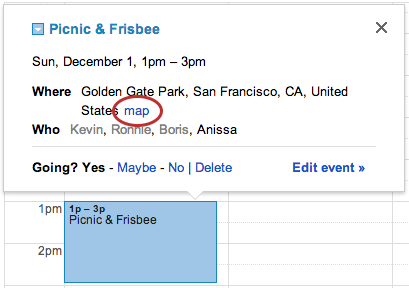 Creating events in Google Calendar is now faster with autocomplete predictions from Google Maps. 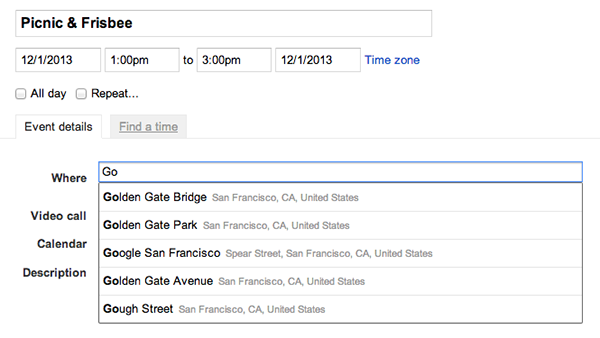 Calendar will autocomplete addresses as you type so you can quickly and accurately add locations to your events. Your friends can then simply click on the “map” link to make sure you all end up at the right place. Don’t know which day you’re meeting a friend for lunch? You can now instantly see relevant events and contacts as you search in Calendar so you can save time and quickly find the information you’re looking for. 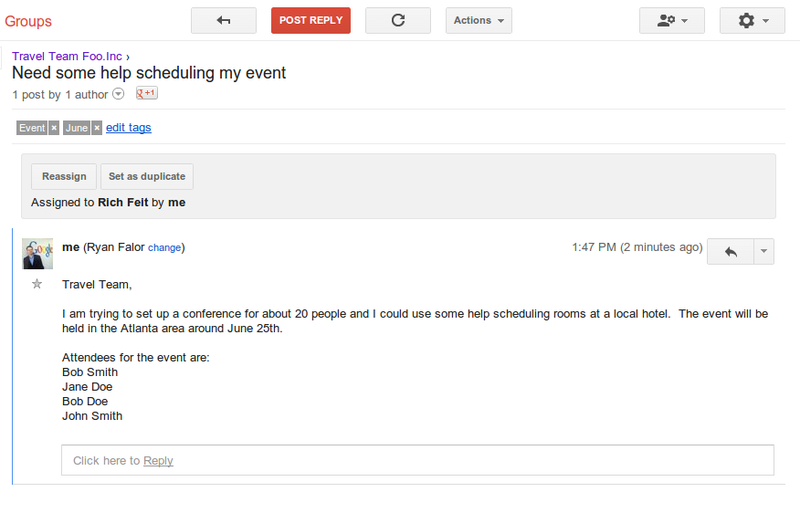 You can invite a lot of people to a Calendar event by sending an invitation to a single Google Group. 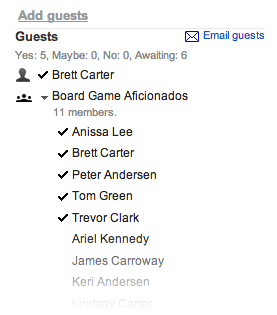 To help your calendar stay up-to-date with group changes, event guest lists will now automatically update as people join or leave a group. This way you don’t have to worry about missing any events organized by a new group you joined or having your calendar filled with events that no longer matter. Tablets are great because the large screen not only gives you a more immersive experience but also extra room for serious multitasking. 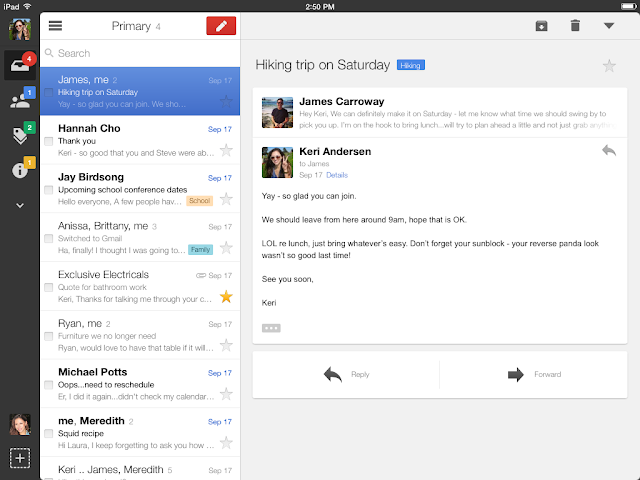 And with today’s update to the Gmail iOS app, you’ll be able to do even more with your iPad. If you hold your iPad in landscape mode, you’ll immediately notice the new left hand navigation bar, which allows you to quickly switch between inbox categories, or between multiple accounts, with a single tap. To help you get through your email faster, you’ll also see a new message counter for each category. For those preferring a more focused immersive experience, hold your iPad in portrait mode to get a full screen view of individual messages. In addition to improvements to scrolling performance, there’ll also be extra room to compose your messages in full screen. Lastly you’ll notice several iOS 7 visual updates on both iPad and iPhone. You can download the app right now from the App Store. From holiday shopping and booking flights home to dinners out with friends and family, life gets busy this time of year. The last thing you need to spend your time doing is digging through an email for relevant information, such as links for tracking packages or flight check-ins. Gmail’s quick action buttons help you stay on top of your busy schedule by surfacing important information as “buttons” that appear in your inbox, and now, you’ll see even more buttons to get you through this action-packed season. For example, you can rate and review restaurants you ordered from on Seamless and even modify OpenTable reservations—all without opening an email. And for the deal lovers out there, you can conveniently save a promotion from Google Offers with one click, making it easy to find and buy it when you’re ready. 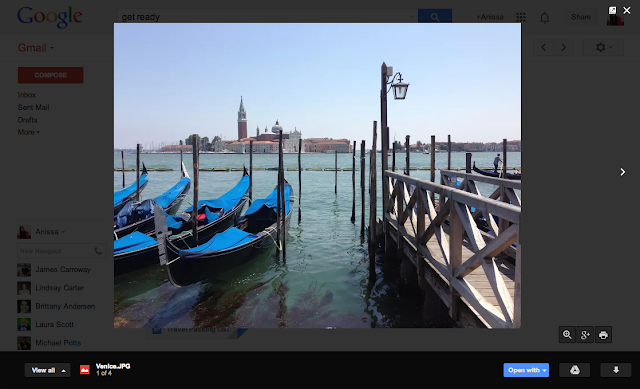 If you’re an avid uploader of YouTube and Vimeo videos, you can view finished uploads with a single click with the new “View video” button. 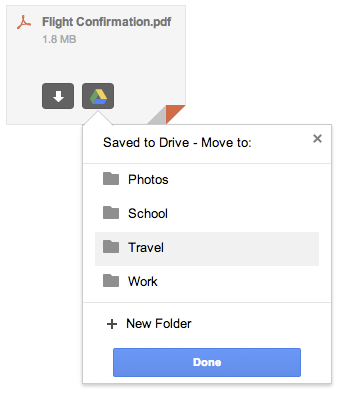 Similarly, you can also speedily open a Dropbox folder or Google Docs, Sheets, and Slides that have been shared with you. 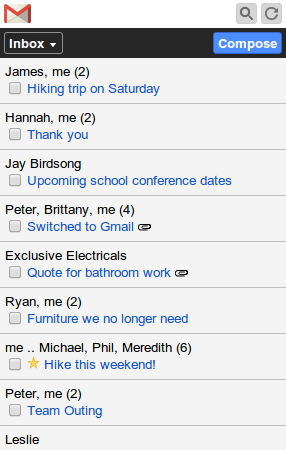 The list goes on, and we’re continuing to add even more buttons to make it easier for you to get things done in Gmail. If you’re a developer looking to add this feature to emails you send, check out our Developers site to learn more. On September 23rd, many Gmail users received an unwelcome surprise: some of their messages were arriving slowly, and some of their attachments were unavailable. We’d like to start by apologizing—we realize that our users rely on Gmail to be always available and always fast, and for several hours we didn’t deliver. We have analyzed what happened, and we’ll tell you about it below. In addition, we’re taking several steps to prevent a recurrence. The message delivery delays were triggered by a dual network failure. This is a very rare event in which two separate, redundant network paths both stop working at the same time. The two network failures were unrelated, but in combination they reduced Gmail’s capacity to deliver messages to users, and beginning at 5:54 a.m. PST messages started piling up. Google’s automated monitoring alerted the Gmail engineering team within minutes, and they began investigating immediately. Together with the networking team, the Gmail team restored some of the network capacity that was lost and worked to repurpose additional capacity, clearing much of accumulated message backlog by 1:00 p.m. PST and the remainder by shortly before 4:00 p.m. PST. The impact on users’ Gmail experience varied widely. Most messages were unaffected—71% of messages had no delay, and of the remaining 29%, the average delivery delay was just 2.6 seconds. However, about 1.5% of messages were delayed more than two hours. Users who attempted to download large attachments on affected messages encountered errors. Throughout the event, Gmail remained otherwise available — users could log in, read messages which had been delivered, send mail, and access other features. What’s next? Our top priority is ensuring that Gmail users get the experience they expect: fast, highly-available email, anytime they want it. We're taking steps to ensure that there is sufficient network capacity, including backup capacity for Gmail, even in the event of a rare dual network failure. We also plan to make changes to make Gmail message delivery more resilient to a network capacity shortfall in the unlikely event that one occurs in the future. Finally, we’re updating our internal practices so that we can more quickly and effectively respond to network issues. We’ll be working on all of these improvements and more over the next few weeks—even including this event, Gmail remains well above 99.9% available, and we intend to keep it that way! People use all sorts of devices to access Gmail: their web browser, smartphone, tablet and, in many parts of the world, their feature phone. For those of you who use a feature phone to access Gmail on the go, starting today you're getting a brand new look that's faster and easier to use. You'll get a number of improvements that reduce the number of button presses required to read, reply and compose emails. For example, you can reply directly to a message from the thread view, you can choose to move to the previous or next conversation, and much more. For those of you who have taken the plunge and are using desktop Hangouts in Gmail, Google+, and the Chrome extension, we've heard loud and clear that you miss the ability to make calls from Gmail, so today, we're happy to announce it's back - and better than before! Even better: calls to the US and Canada are now free from all countries where Hangouts calling is available. And international rates remain super, super low. Today's launch also improves the desktop calling experience in a number of ways. For example: you can add multiple phone numbers and video participants to the same call; and you can play sound effects (like applause or laughter) with the Google Effects app. 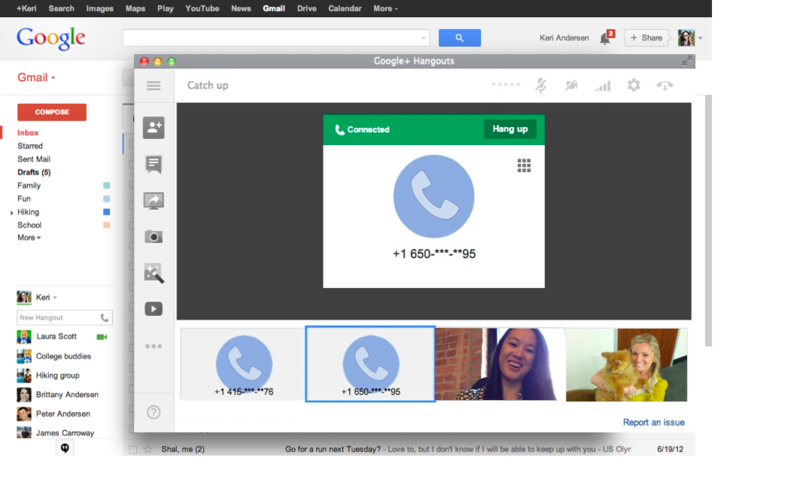 To make a call from Hangouts, just look for the new phone icon in Gmail, or for the new "Call a phone" menu item in Google+ and the Chrome extension. 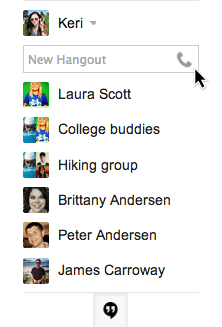 And of course: if you haven't yet tried Hangouts in Gmail, you can always click your profile photo in the chat list and select "Try the new Hangouts." 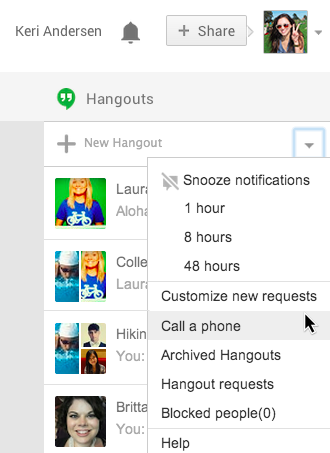 Making calls from Hangouts is rolling out over the next couple of days. As we’ve said before: Hangouts is designed to be the future of Google Voice, and making and receiving calls is just the beginning. So stay tuned for future updates. With Google Groups, you can manage a mailing list, coordinate with your social club, and find experts who share your interests. Over the last year we have been working on improving the experience and adding new features while keeping our old version running. One of the recently improved features is the ability to create an inbox that allows you to collaboratively share, distribute and track responsibilities with others. Imagine you and a few friends are organizing an event for your school and want a single email address to coordinate with vendors, parents, and volunteers. 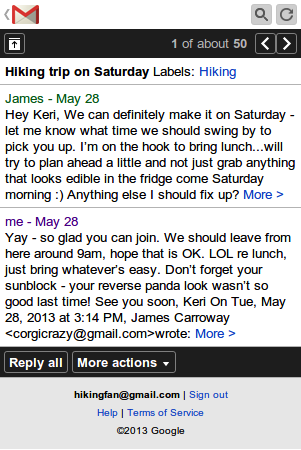 Members of the group can work together to manage email, assign items to each other, and mark items resolved. This can be a great feature for teams seeking a really simple way to get things done without sharing passwords or losing track. As part of field trial we opened in October, it became possible to instantly see your relevant emails, Google Drive files, Calendar events, and more when you search in Gmail. Those of you who participated in the field trial told us that you like the time-saving convenience of searching for all your stuff from one place, and over the coming week, we'll be rolling out this feature in English to all U.S. users. 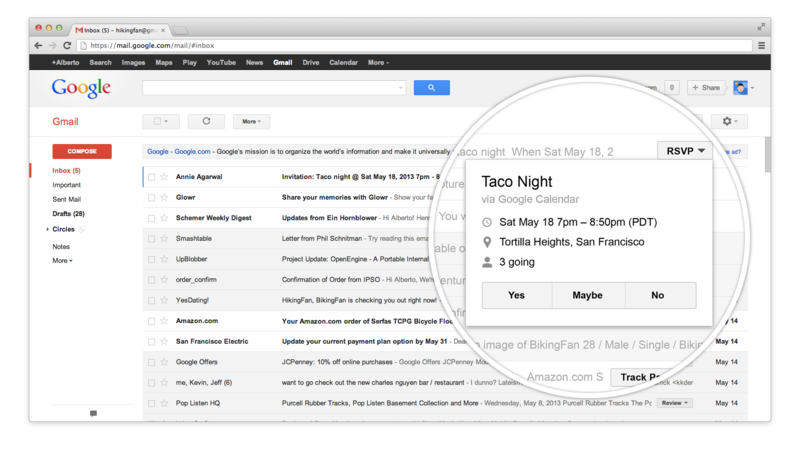 Now you can find what you're looking for faster right in Gmail. Email is an important part of how we get things done -- from planning an event with friends to organizing that family vacation to Costa Rica. And today, getting those things done is getting a little easier with new quick action buttons in Gmail, designed to help you tackle your digital to-do’s as quickly as possible. These buttons appear next to certain types of messages in your inbox and let you take action on an email without ever having to open it. For example, you can RSVP to your friend's party invitation or rate that restaurant you went to last night all right from the inbox. You’ll be checking things off that to-do list in no time. Flight confirmation emails are also becoming a bit more useful. Whether you’re frequently up in the air or just the occasional traveler, when you open a flight confirmation email in Gmail, all the important information about your flight will be displayed right at the top. You’ll be able to see whether your flight is on time, when your connection is and more -- no scrolling required. These quick actions will roll out over the next few weeks, and we hope to add even more useful actions moving forward. If you are a developer and want to add actions to your emails, check out developers.google.com/gmail/schemas to learn more. Paying back your friends is now as simple as sending an email, whether you’re chipping in for lunch or reimbursing your roommate for your share of the rent. Google Wallet is now integrated with Gmail, so you can quickly and securely send money to friends and family directly within Gmail -- even if they don’t have a Gmail address. It's free to send money if your bank account is linked to Google Wallet or using your Google Wallet Balance, and low fees apply to send money using your linked credit or debit card. To send money in Gmail, hover over the attachment paperclip, click the $ icon to attach money to your message, enter the amount you wish to send, and press send. 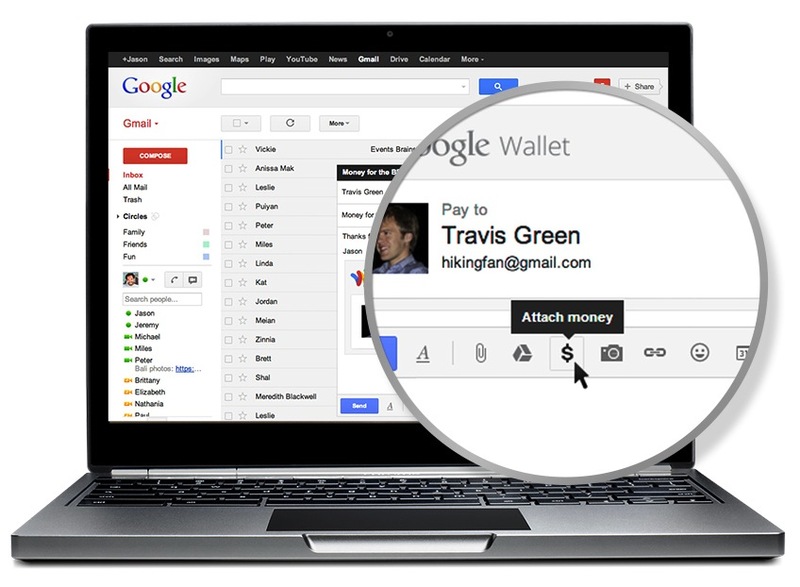 While sending money in Gmail is currently only available on desktop, you can send money from Google Wallet at wallet.google.com from your phone or laptop. You will need to have set up Google Wallet to send and receive money, and Google Wallet Purchase Protection covers you 100% against eligible unauthorized payments. We’re rolling out this feature over the coming months to all U.S. Gmail users over 18 years old, so keep an eye out for the $ icon in the attachment options. You can also get earlier access if your friends have the feature and send money to you. 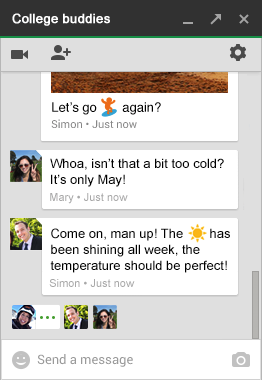 Today we announced Hangouts, a big improvement to Google’s real-time communication services. Instead of different versions of chat, video chat and calling across Google products, Hangouts gives you one consistent way to connect with the people you care about. What does this mean for your Gmail? You now have the option to switch from the current version of chat to Hangouts. Simply click “Try it out” next to your chat list to switch to Hangouts and give your chat an instant facelift (literally!). You’ll now see the profile photos in the order of your most recent conversations. With Hangouts, you’ll also be able to quickly send messages, have video calls with up to ten people at once, and share photos. You can start a conversation with just one friend or even a whole group. Hangouts transition effortlessly between desktop and mobile -- in fact, Hangouts will be available in Gmail, Google+, Android phones and tablets, iPhone, iPad and iPod Touch and as a Windows, Mac or Linux desktop application using the Chrome extension. 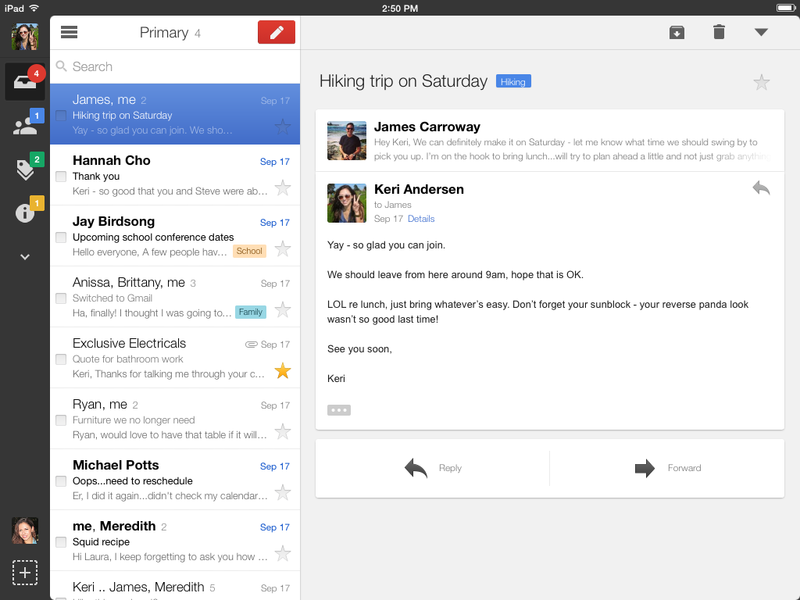 You can start a Hangout on your phone, and pick it up in Gmail right where you left off! The new Hangouts experience in Gmail is rolling out as an optional switch starting today. Click the “Try it out” button when it appears next to your chat list to switch right away, or you can switch later. Learn more about the new Hangouts here. 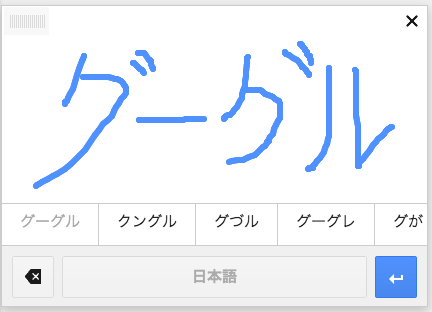 This new feature is rolling out over the next week to everyone with the English (US) language. We'll be adding other languages soon, so stay tuned. This April marks Gmail’s 9th birthday, and as year ten gets underway, it’s a good opportunity to look at how much has changed: the curse of the Bambino was broken, Martin Scorsese finally won an Oscar, and we stopped referencing Xena the Warrior Princess in our blogposts. 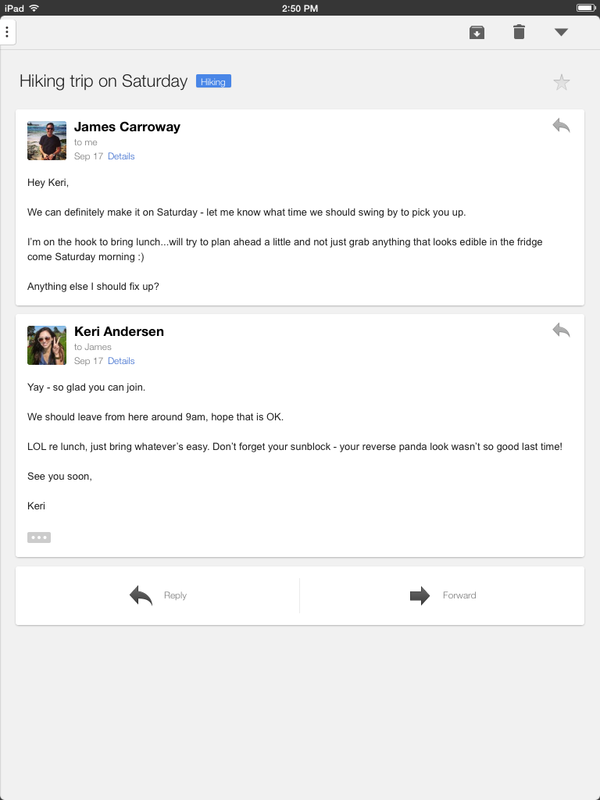 And during that time, Gmail—and online communication as a whole—evolved too. So much of that evolution is a result of your feedback. In fact, Gmail was inspired by one user’s feedback that she was tired of struggling to find emails buried deep in her inbox. 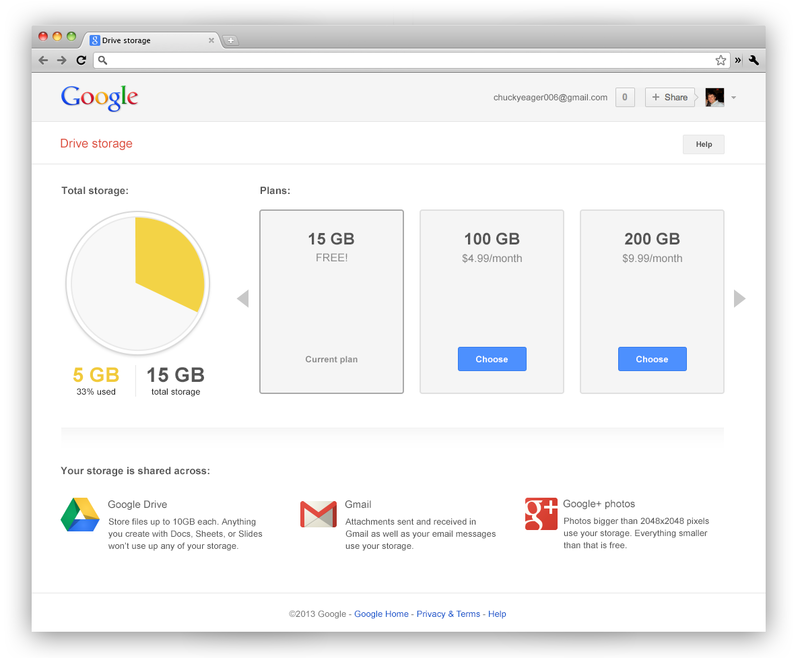 So we built a new email that leveraged the power of Google Search. You told us you were tired of spam, so we set to tackling that, and today your feedback makes it possible for Gmail to filter out well over 99% of incoming spam. You also said that you needed tools to deal with information overload, so we introduced Priority Inbox to help you manage your email (and we’re still exploring new ways to make it even easier). Simply put, whether you’ve been a Gmail user for 9 years or 9 months, your input helps us continue to keep Gmail current and useful. Thanks for taking this journey with us, and onward to year ten! Of course, it isn’t easy to find a variation of Spanish that works for someone living in say, South America, but also feels natural to a Spanish speaker in the United States or Caribbean for example. The Spanish spoken in these regions differs greatly from one country to the next due to geography, separate cultures, customs, and histories. To give all of our Latin American Spanish speakers an option that looks, feels, and sounds right, Google Localization constructed a Spanish variant that combines the most common elements from the different dialects. 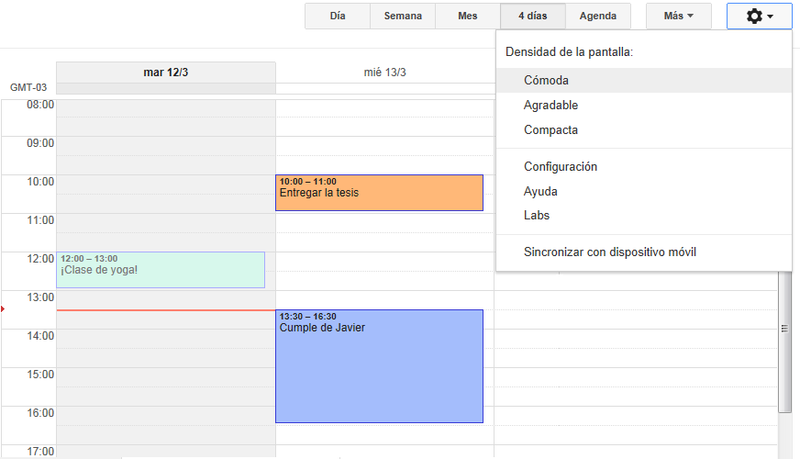 So whether you speak Spanish or any one of Calendar’s 42 languages, it’s now even easier to keep up with your busy schedule! Once in General Settings, Language you can select Español (Latinoamérica). If you are using Google Calendar for Android, Language Settings are controlled by your phone’s Settings menu. For any questions on getting started with Calendar, please check our help center. 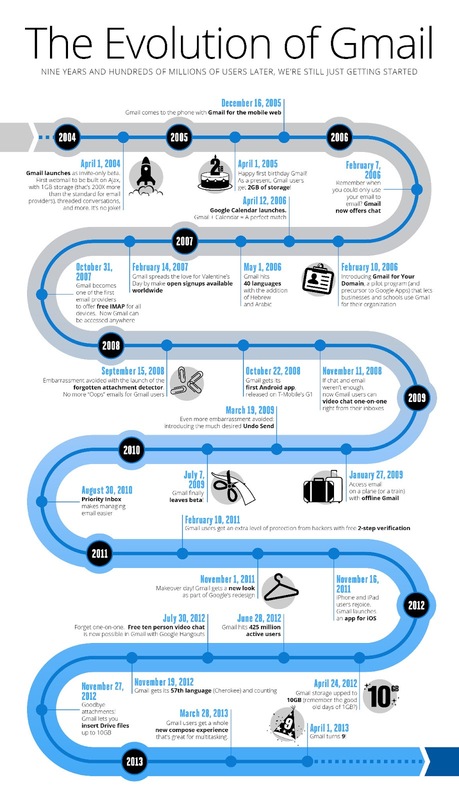 Gmail launched nine years ago on April 1st, 2004. Since then you've been able to use hundreds of new features that push the boundaries of what email can do and make it easier to get things done. 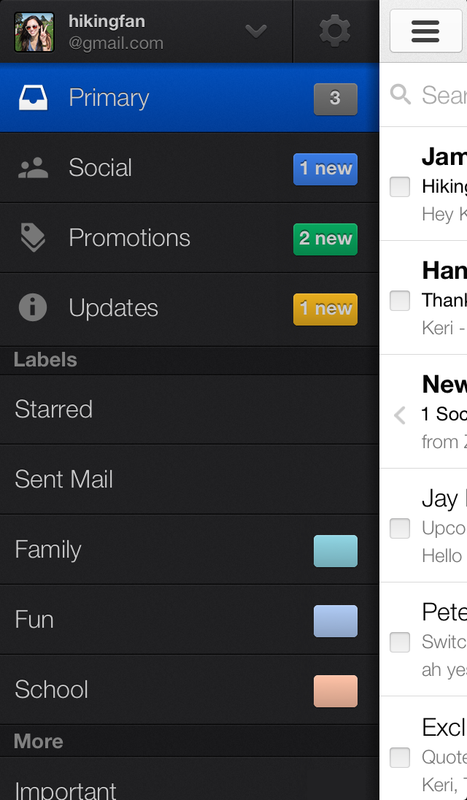 Update: Was Gmail Blue an April Fool's joke? 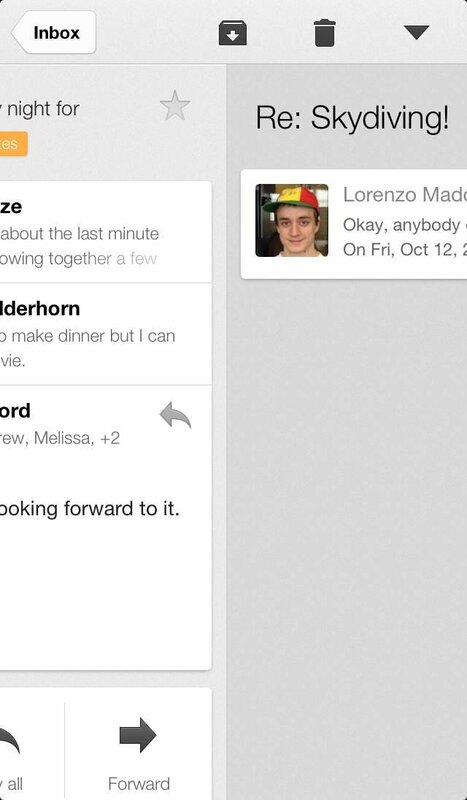 Take a look at developer Shon Dalezman's Gmail Blue Chrome Extension and then decide. You are busy people, so it's no surprise that an overwhelming number of you opted to try out Gmail's faster, simpler compose experience after it launched last October. In addition to telling us what you love about the new compose experience (like how much easier it is to multitask!) you’ve also been sending us helpful suggestions for what features you'd like to see added. As a result of your input, we're now ready to introduce the new compose experience as the default for everyone. We're looking forward to hearing what you think! 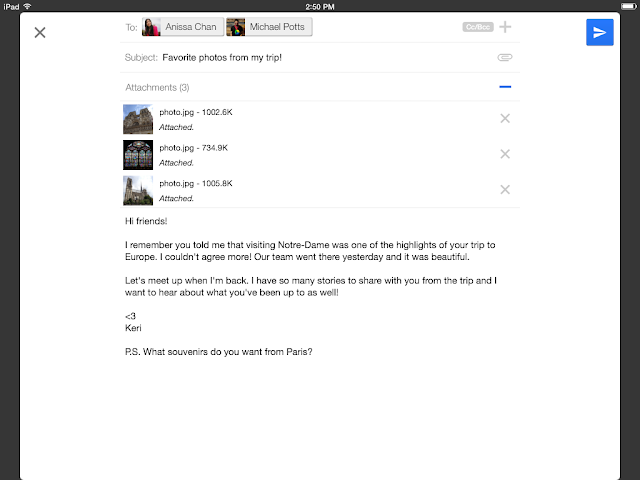 If you're already using the the new compose experience, you've probably noticed it's gotten a lot of upgrades over the last few months, from a new way to send files with Google Drive to much-requested features like pop-out replies. We’ve also added support for originally missing features like starring and labeling when composing and the Canned Responses lab. The new compose will be rolling out to everyone over the next few days. You can learn more in our help center, or follow us on Google+, where we'll be posting more tips for using the new compose. Indian culture is diverse, with more than 100 languages and thousands of alphabets used every day. Depending on where you are, you might hear anything from Gujarati to Bengali and Tamil to Urdu. If you're a speaker of these languages and use a feature phone, communicating is about to get a little easier. Starting today, we are rolling out support for 6 Indic languages in Gmail on the feature phone browser: Bengali, Gujarati, Kannada, Marathi, Tamil, and Telugu. 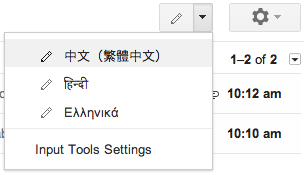 Simply go to settings in Gmail and choose your language. Some 500 million new users from around the world will join the Internet between now and 2015. Since most will experience the web for the first time on a mobile device, it’s important that people everywhere can communicate in the language they know best. With today's launch of the new Gmail Android app, you can save time on the actions you use most often: reply, archive, and search. If you're using Gmail on an Android 4.1+ device, the updated app lets you reply and archive messages right from notifications with one quick tap. You can combine this with existing notification features like the ability to customize which messages you receive notifications for and set up different sounds for individual labels. So if you filter and label all the messages from your mom, you could set a ringtone to let you know you received a new mail from her and then quickly reply (because we know what can happen when you ignore your mother!). The new app also introduces faster search and better search suggestions so you can find your messages quickly online and offline. 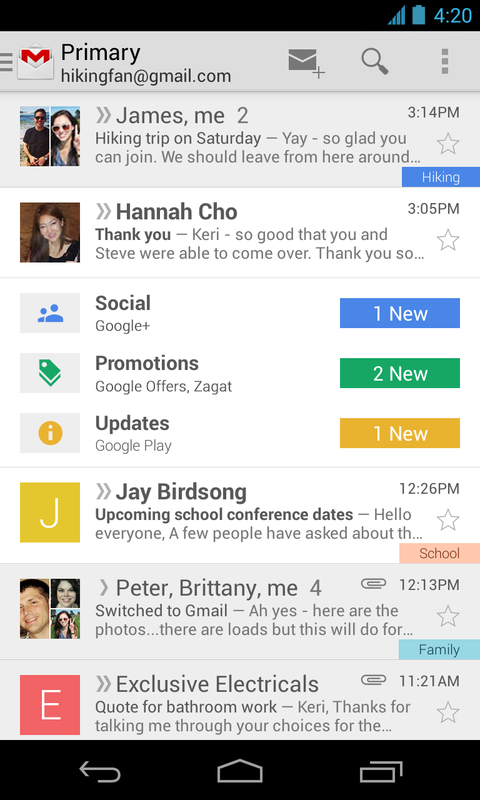 You can get the latest version of Gmail on Google Play.